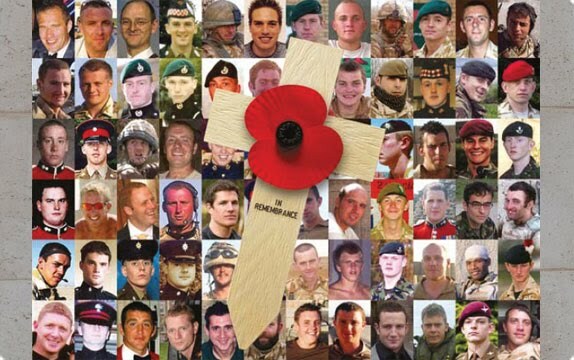 The 11th of November is Rememberance Day and I will be wearing my poppy with pride as I remember. I will also be attending church on Rememberance Sunday. 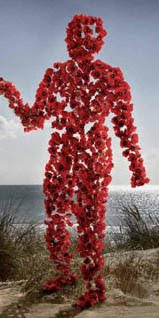 Traditionally Rememberance Day is to remember those fallen in the Great Wars but for me, it's a little closer to home as my brother and two counsins-in-law have recently come back from Afghanistan for the third time. On of my sister-in-laws cousins nearly didnt make it back, but he was made of strong stuff and the suicide bomber couldnt touch him. The story was not the same for many of his friends on this past tour, and so because of them, I will remember. The picture above shows just some of those brave heroes who now shine as stars in the sky. This weekend the online shop has been closed whilst I am attending the Arts & Crafts Fair in Albury Village, Hertfordshire. The Fair is on 5th and 6th November open from 11am to 4pm both days and there will be a combination of local artists work, and stalls from local crafts people. It would be lovely to see as many of you there as possible so please do come and say hello whilst browsing for some handmade Christmas gifts! Where does the time go to? I often find myself asking this question when I become overwhelmed by things or realise that its nearly Christmas and I still have loads of stock to prep, let alone organise Christmas gifts for me to give! As such, my 30 before 30 challenge has slipped a little, as have the blog updates for it. But as today marks the 9 months to go stage I thought it important to update! 2.Learn to knit socks – Once the Christmas period is over I will pick up my knitting needles again. 3.Visit Buckingham Palace – Done!!!! I need to blog about it though, but Mum and I had a great time in September. 4.Swim in a lake or stand under a waterfall - I'm thinking this will be the Serpentine in Hyde Park unless someone can come up with another idea? 5.Own a home (the BIG challenge) – there have been developments with this but that's all I'm saying for now. 6.Be debt free except from a mortgage if Num 5 happens – I work on this each and every day. 7.Visit Dickens House – DONE!!! But it was a real disappointment, I will blog about this too. 8.Go to a soap making workshop - DONE!!!! And I'm now selling natural soap through my shop. 9.Learn to hang wall paper –I think there will be redecorating at my parents house soon and I will be helping, or maybe at my own home if it all happens! 10.Spend a night on the Norfolk Broads – Sort of DONE!! Just need to blog! 11.Learn to make pastry – Maybe in time for mince pies? 13.Make and wear my own dress – I have an idea to make a dress to wear to dinner on my 30th birthday. 14.Read five books from my bookshelf - One down, four to go! 15.Have a make up lesson – DONE!!! Although I wasn’t all that impressed. I had a free session at Bobbi Brown which was educational and expensive. 16.Do something every day to make me smile – I might not journal anything, but I am aware of this and try to do something, if not more than one, every day. Having new people in your life makes smiling every day much easier. 18.Be able to jog a mile without stopping - with my leg issues this is a BIG thing – Ive been getting back to the gym with my trainer and she is really helping me. I can use the cross trainer for 2 miles but not sure how I would go on the actual road! 19.Go to Rome or Sorrento – DONE!!! and it was AMAZING!!! I need to blog with photos though. 21.Visit Giant's Causeway – I hope to do this next year, maybe August bank holiday which is technically after my birthday, but thats ok so long as its booked before the big day. 22.Have a dinner party - This is the plan for my 30th birthday ideally in my own house. 23.Have Butterfly-Crafts mentioned in a newspaper or magazine – DONE!!!! – coverage of the craft fair in the local paper. 24.Sleep under the stars - I am an option in mind for this, watch this space. 25.Live as much of a handmade/homemade/economical life as possible - I am doing this as much as possible, even more so with Christmas approaching. 28.Go to a comedy club – I really want to get this one ticked off soon. 29.Finish my knitted patchwork blanket – Once the mega Christmas Fairs season is over I will pick my needles up again, I'm 8 squares down from a total of 91 plus edging. 30.Visit 15 exhibitions at museums and galleries – Well there was Handmade Tales at The Women’s Library, Afghanistan at The British Museum, Out of this world at the British Library, and Eadweard Muybridge at Tate Britain and a few others I've currently forgotten!